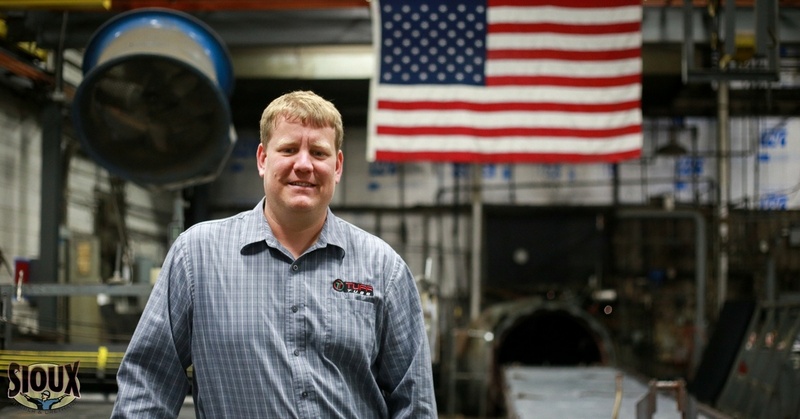 Derek DeGroot started his career with Sioux Rubber & Urethane in 2005 as a fabricator, who appreciated working for a small company in a small town environment. 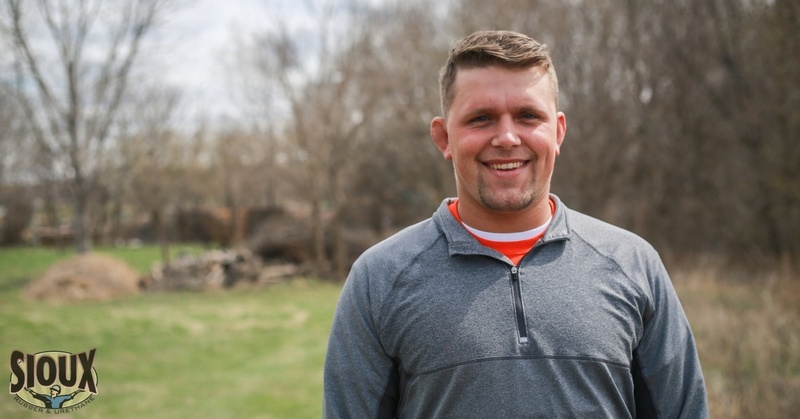 "Even though we've grown a bit since I started, we've always been a company that takes pride in our employees and the work we do for our customers." Sioux Rubber & Urethane was approached by a national grain processing company to help improve the lifespan of their steel idler rollers at their local soybean processing facility. Idler rollers provide a rolling service for the grain belts to glide on as they transfer grain at large installations; while they are easy to replace, the overall process and expense to do so was starting to add up. 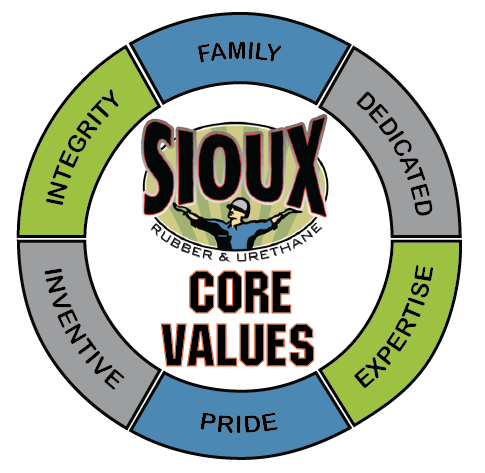 There is never a dull moment at Sioux Rubber & Urethane. One moment we are curing our trademarked HawkPad for the cardboard packaging industry, the next moment we are developing rollers and spouts for agricultural equipment. And then there are days like today when we can talk about making water bullets and how they instantly, completely, and temporarily seal high-pressure fluid pipes. Since we introduced the HawkPad for our cardboard honeycomb packaging customers, we’ve been making more HawkPads than ever. As the premier press pad for commercial die-cutting applications, its unique ratio of multi-layered hardwood to custom-blended urethane gives it a hardness, thickness, and durability unlike any other press pad on the market. 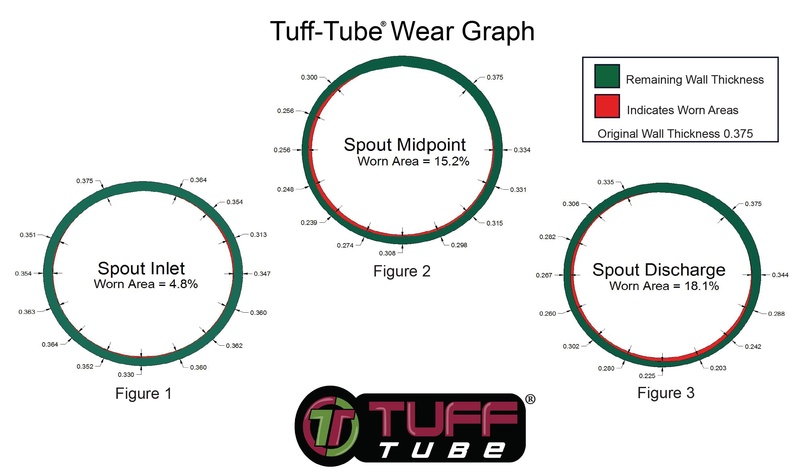 Initial field testing of Tuff-Tube began with an 8” diameter Tuff-Tube at an Iowa soybean processing facility in 2005. At the start of the test period, this facility was wearing completely through a standard ¼” urethane sheet being used as a traditional bolt-in spout liner each year and at times also wearing through the steel spouting itself. Designed specifically for ease of installation, the patented Tuff-Tube is made of a custom blended urethane specifically formulated for these types of abrasive applications. The Tuff-Tube test installation was so successful, that after 3 years of the test the international soybean processing company that allowed us to do the testing mandated that Tuff-Tube be installed in all its facilities during any new construction, remodel, or changes to current facilities. In 2015, after handling over 22 million bushels of soybeans and a decade in service, the original Tuff-Tube was pulled from testing for a comprehensive wear examination. The cross sectional graphics (figures 1, 2 and 3) show the minimal amount of wear (thickness lost) that occurred after 22 million bushels of soybeans. As seen in the graphics, over 50% of the thickness of the Tuff-Tube remains at the thinnest section of the piece. 22 million bushels of soybeans and the Tuff-Tube still had more than half of its service life left! 1-1/2” diameter Pipe-Yup, we can rubber line that! 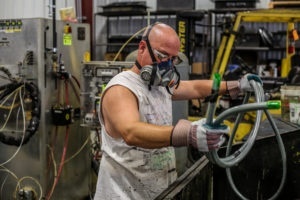 Rubber lining is a skill that takes time, experience, and knowledge to perfect. Sometimes the most difficult projects are the smallest ones. Take, for example, the skill required to line 1-1/2” diameter pipe with rubber. The challenge comes into play with only having a working area of 1-1/2” diameter. 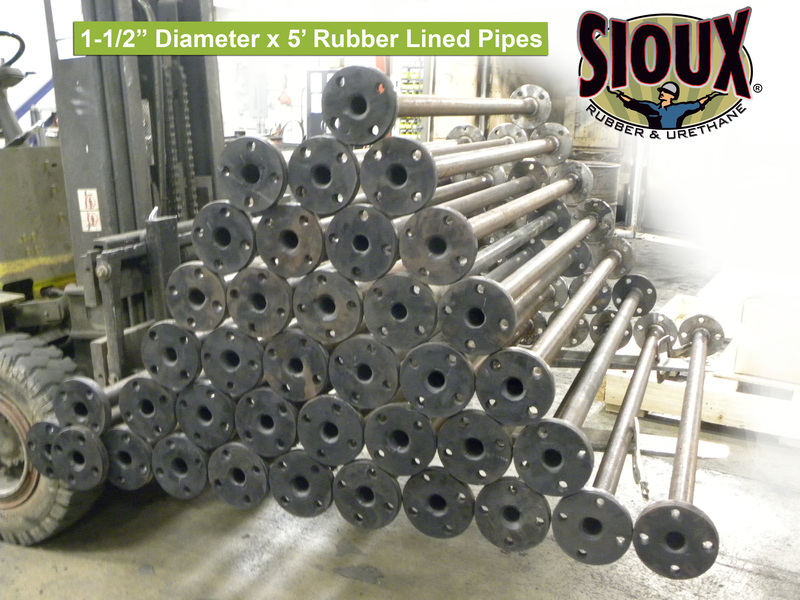 At Sioux Rubber & Urethane we have the capability and the skill to rubber line even the smallest of pipes. We have a variety of premium rubbers that will meet your application requirements and with stand the most corrosive chemicals and abrasive materials. 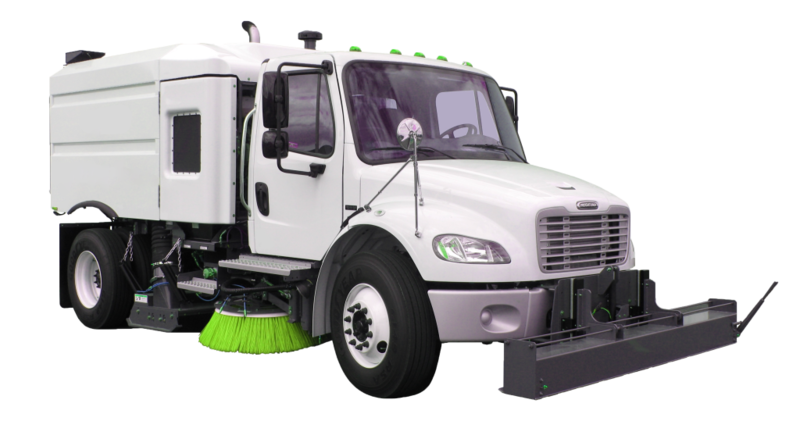 We all see street sweepers out on the road but not many of us think about the components required to keep them up and running. The gravel and sand picked up by those sweepers is terribly abrasive and can wreak havoc on blower wheels and housings. Luckily, Sioux Rubber & Urethane manufactures rubber encapsulated expanded metal sheeting that top tier OEMs and maintenance shops use to line and protect internal components from abrasion and wear. 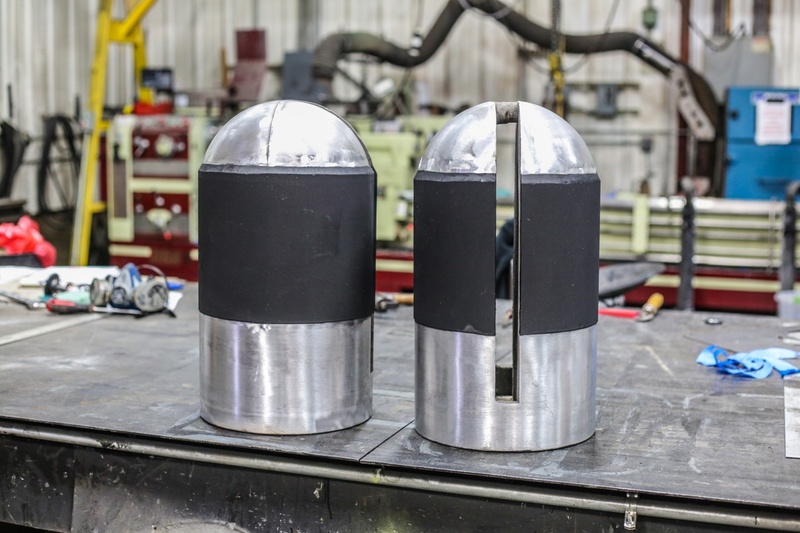 Bolt-on linings made with our rubber encapsulated expanded metal help blower fan housings last multiple times longer than unlined housings and when those linings finally wear down, they can easily and efficiently be replaced by simply removing a few bolts. Simple, effective protection that maximizes uptime and simplifies maintenance. Abrasiplate™ - Who Needs It & Why? Where ever steel meets steel or when steel is unprotected against friction, forceful damage, abrasion, corrosion, or contamination, the result is costly repairs or replacements and profit-eating down time.